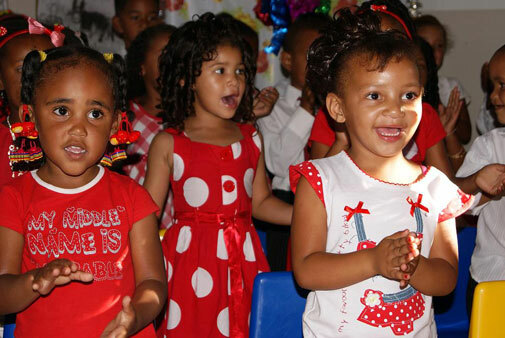 Evita’s Darlings were able to celebrate their first Christmas party at the Early Childhood Development Centre on 8th Decemeber 2010 – thanks to our sponsors! Parents, grannies, uncles, aunts, brothers and sisters were invited to share the festivities. Evita’s Darling sang and danced for the visitors and 3 learners graduated to Grade R; Wadely Bruintjies, Jaime-Lee Faro and Blanche Spiers. 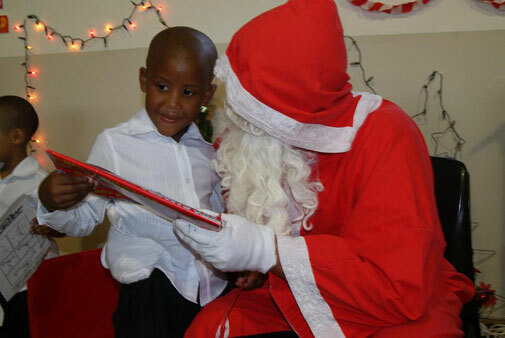 When Father Christmas finally arrived all the way from Namibia the room went quiet with surprise and anticipation, the silence didn’t last long as Father Christmas got everyone singing once again! 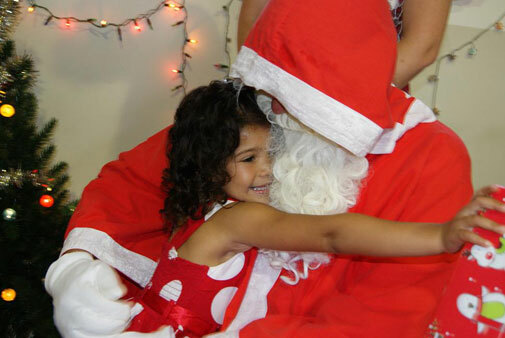 Every learner received a gift and a hug from Father Christmas after which hotdogs, cakes and cool drinks were handed our to everyone and enjoyed! It is only as a result of the following generous donations that we were able to have such a rich and enchanting evening for the children. THANK YOU: Darling Chickens for their contribution of buns and sausages for all the parents and children; The Lindbergh Arts Foundation for contributing tea, coffee, sugar, milk (enough for a year! ), cake, chips, treats as well as art materials for all the classes of 2011. 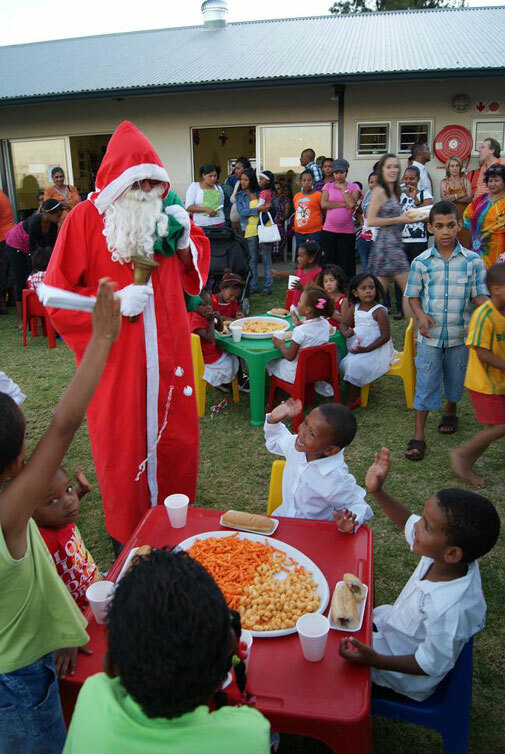 We felt privileged to have Elizabeth and Lara as our guests who helped us serve over 100 excited children! Jane Wallace generously and lovingly donated and wrapped each present for every boy and girl for Santa’s Bag! The Darling Wildflower Society has held this event every year since the first show in 1917. Our colorful stall generated great interest from passers by. 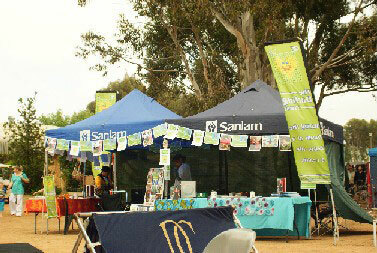 The 7th annual Voorkamerfest in Darling was graced with perfect spring weather and brought nearly 4000 visitors to the town. Even though the tickets were sold out a month before the event, people still flocked to Evita se Perron in hopes of getting in. The food and market stalls were constantly busy with a buzzing atmosphere, complimented by our very own ‘fiddler’ with guitar in hand on the rooftop of Evita se Perron. 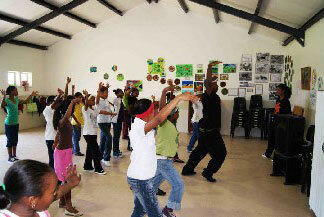 The acts, performed in local Darling residents’ living rooms, included various expressionistic dance acts, guitar and harp instrumentals, comedy country music, storytelling, opera, stand-up comedy and magic, along with the famous Blinde-Boere Orkes and brilliant puppetry thrown into the mix. The 14 taxis and their drivers escorted the visitors to their unique venues, which ranged from small RDP houses to beautiful Cape Dutch homes. The Darling Voorkamerfest is held during the first week of Spring which means that the flowers along the West Coast have begun blooming, so the picturesque drive to Darling becomes a major attraction. 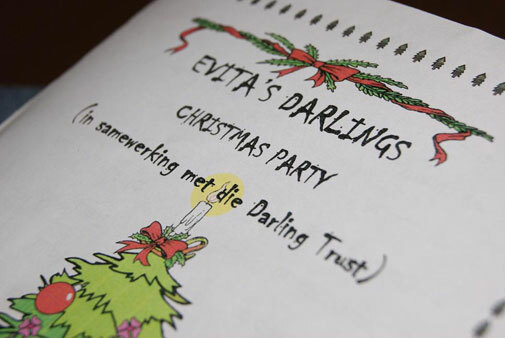 Another draw card is the Darling Wine Route, which boasts excellent wine estates, five of which donated wine to The Voorkamerfest for this year’s performers, as well as conducting wine tastings at the local venues and Evita se Perron. 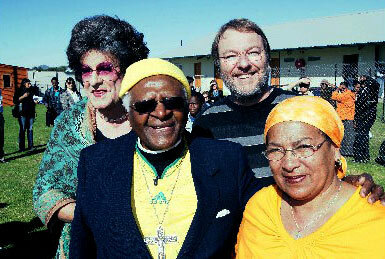 Archbishop Desmond Tutu and his wife Leah visited Darling, Tannie Evita Bezuidenhout’s hometown in June to view the town’s new swimming pool and bless its Education Centre. 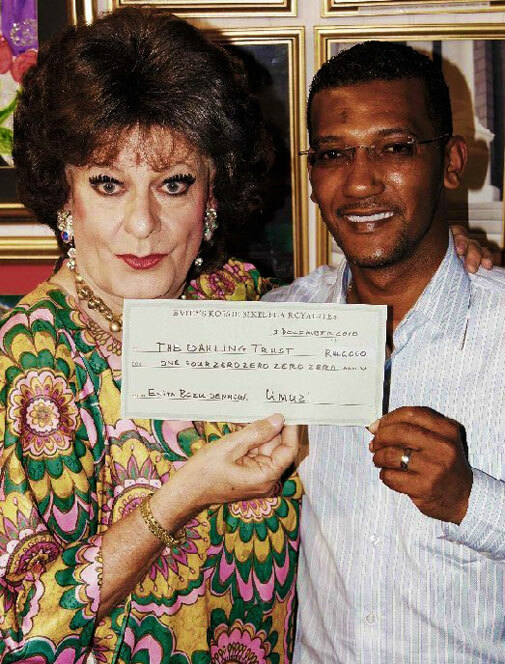 The Archbishop is patron of the Darling Pool Project and The Darling Trust which was established in August 2003 by Tannie Evita’s alter ego, the actor, Pieter-Dirk Uys. He congratulated Uys for his consistency in lampooning politicians of the apartheid regime, and continuing to lampoon politicians today. And he congratulated the people of the town who worked so hard to raise the necessary funds for this centre. 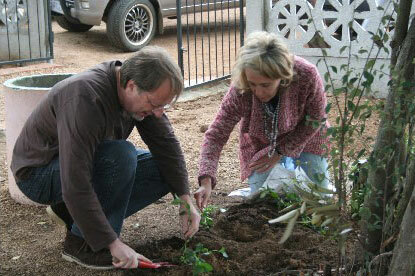 Mrs Evita Bezuidenhout hands over a cheque of R140,000 to Chris Adonis, Project Manager of The Darling Trust. On a wet and windy Friday afternoon, volunteers turned up from all corners of Darling bringing with them a wonderful variety of plants from their own gardens to ‘Tannie se Tuin’, for a community planting day! 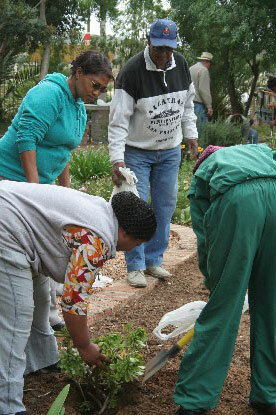 Thanks to Pieter-Dirk Uys for this wonderful initiative and gift, Will for the implementation, Rika and Loretta (our newest volunteers at The Trust, this being their first project) who mobilised more volunteers, The Darling Angels for yet again ‘mucking in’ and all the other budding gardeners who braved the weather giving their time for the community. “Everybody knows that 24 September is the Public Holiday on which South Africans across the spectrum celebrate their cultural heritage and the diversity of their beliefs and traditions in the wider context of a nation that belongs to all its people. Various events are staged throughout the country to commemorate this day and celebrate the contribution of all towards building our Rainbow Nation. 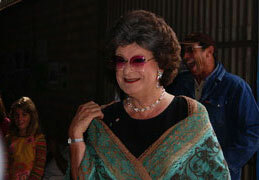 On Heritage Day 2010, The Darling Trust presented a unique collaboration between Coenie de Villiers and Tannie Evita Bezuidenhout. Two household names came together to review the state of the nation, so to speak. 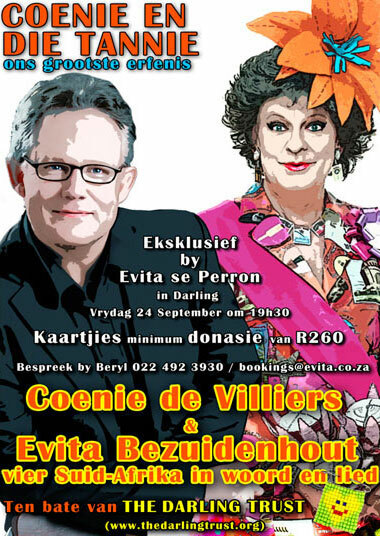 Coenie de Villiers, singer, composer, songwriter, TV presenter, and Pieter-Dirk Uys in the persona of Evita Bezuidenhout, famous white female witness to the changes in our beloved country over the past 30 years. Their presentation flowed effortlessly, in the form of a reminiscing conversation. As master storytellers they touched on aspects glad or sad, or both, often funny, looking now inward, now forward. And to enhance or extend each theme, Coenie performed songs capturing their essence. 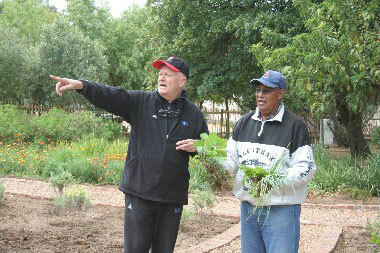 Coenie’s eloquent renditions and Tannie’s inimitable style and quips, made them nervetouchers. We could all relate. We were all moved. The magic did not end there. The following day Coenie conducted a workshop for prospective songwriters from the local community. First he illustrated the process with examples from his own or other songs – how to change key to change the mood, how to use repetition, or crescendo. Coenie then turned the adage ‘You can’t make a silk purse out of a sow’s ear’ right on its head by turning the humble workshop offerings into songs with instant appeal, delighting those witnessing the magical process facilitated by this brilliant artist. The mark of the man showed in how he spent those two hours, focusing on the task at hand, giving the group his all, regardless of their ‘merit’. He shared the principles of finding your own voice, conveying your story with honesty, simplicity and meaning. What a privilege to have been part of the group! All left in awe, but equipped and inspired as well. 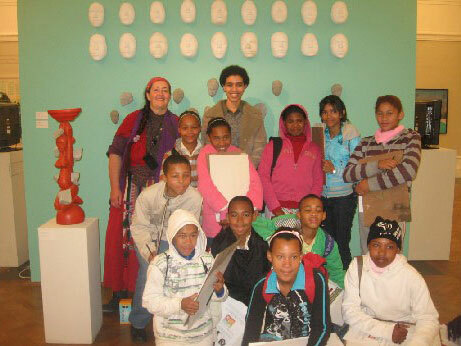 Adri van Aswegen took her art students for a visit to the IZIKO-Museum and Planatarium in Cape Town shorty after the 2010 Soccer World Cup. The children were exposed to a variety of artistic styles and concepts and created their own little masterpieces. 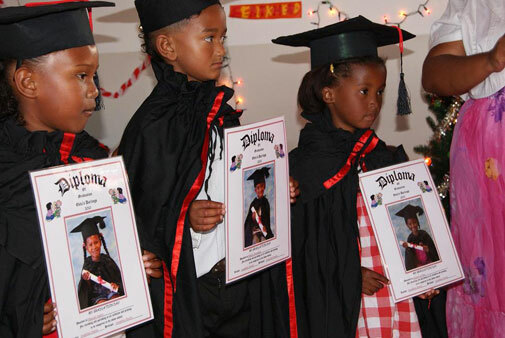 On the 23rd of May a Nguni Day was held to benefit The Darling Trust. This all happened on the farm, Droërug, which belongs to the Stoch family. The farm is 7 kilometres from Malmesbury and is breathtakingly beautiful. Scenes from “Out of Africa” come to mind in an effort to describe the beauty and calm of the fields of Droërug. The day was opened by Tannie Evita, after which Cedric Stoch gave background on Nguni breeding and the current situation of the industry in South Africa. Then visitors could go on tractor rides to view the herd. What an amazing experience for city dwellers to see these beautiful animals in their natural environment. The aromas of curry and lasagne welcomed visitors back from their trip. Also for sale were Nguni hides, paintings by local artists as well as paintings done by children from our own Elsie Balt Art School. 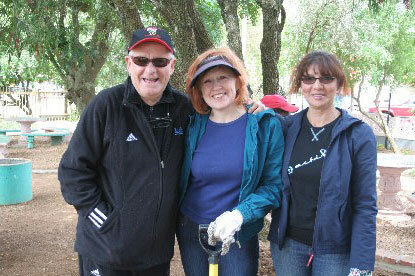 The day was arranged by Hilary Prendini Toffoli and raised almost R10 000!! for The Darling Trust. The day was a huge success and enjoyed by all. A huge thank you to the Stoch family for their generosity and support of The Darling Trust.